Now for a pantomime with something completely different! It`s time to sharpen up your spurs and get ready to gallop into the world of the Wild, Wild West! Clint Westwood arrives in Deadwood Gulch to seek revenge on Sheriff Small Holding of whom is trying to force Dame Winnie Pegg to sell her ranch. With the help of his two deputies Butch Casserole and the Sun-Tanned Kid, they organise an outrageous party! But is Winnie able to stop the Sheriff from carrying out his dastardly plan? 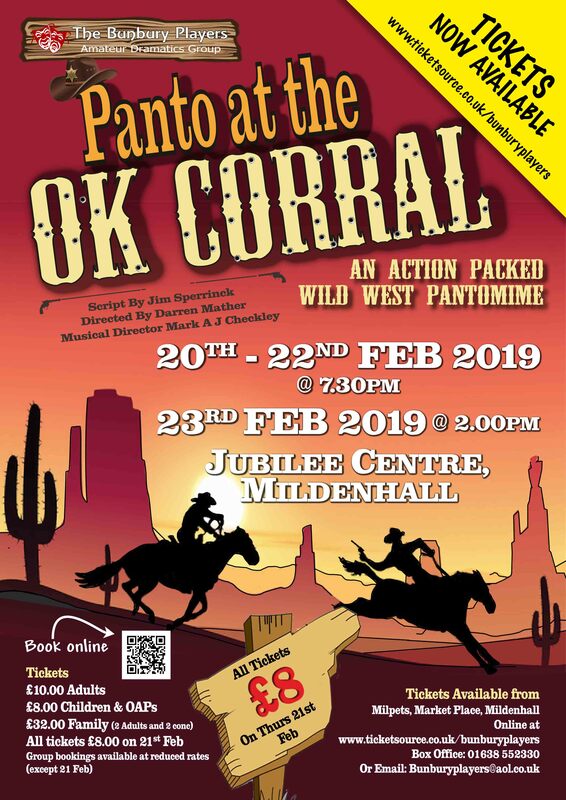 A wonderful unique cowboy pantomime where not a shot is fired in anger!